Say you were ten years old. Say your house was robbed. Your Chips Ahoys, your money, your television, your Kiss records, your baseball cards: all stolen. Say the robber kicked you in the nuts and left laughing. Say as you were curled on the floor in pain your mom looked down and told you she had decided to leave to go live in the robber’s glittering house of riches. You would not believe it. You would never believe it. And so this uniform, this cap, this team name on both the front and back of the card, the transactional note on the back that noted the signing by this team of this player in November 1978, a mere month after this team kicked childhood in the nuts, it’s all just an elaborate April Fool’s Day joke. I don’t believe it. I’ll never believe it. 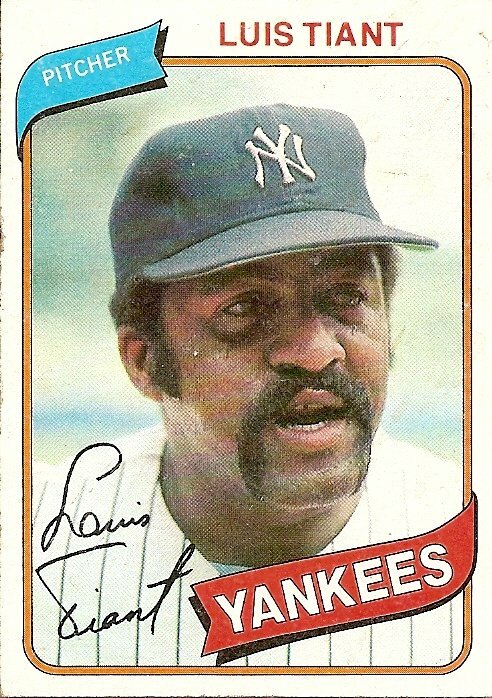 You are currently browsing the archives for the Luis Tiant (N.Y.Y.) category.